Serve people and pets with excellence and add value to their lives. Marci and Grant Garl, owners of Fit ‘N’ Furry Pet Resort, are seeing their dream come to life. Married for over 40 years, Marci and Grant have always enjoyed helping others. In addition, they adore pets of all shapes and sizes, and believe that having a pet in the family makes a house a home. They exhibit a work ethic second to none, having raised and educated three girls while Grant worked in the HVAC industry. Today, Marci and Grant have brought all these qualities together to create Fit ‘N’ Furry. 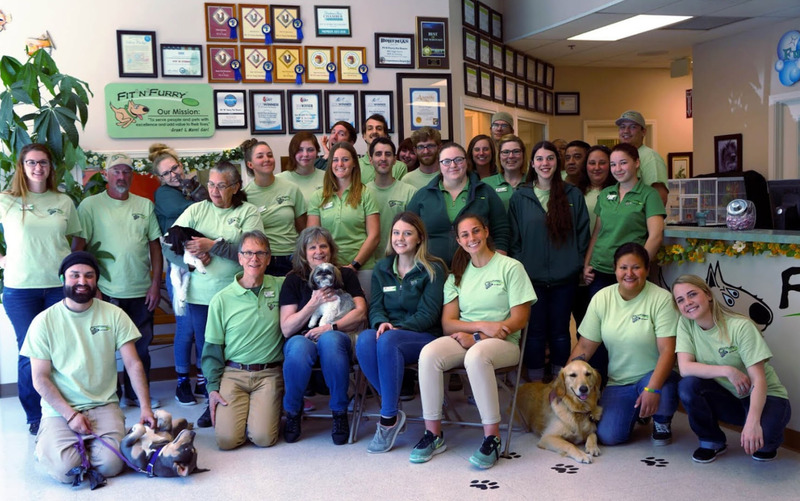 They believed that their pet care facility, much like a home, would bring comfort to not only pets, but their owners as well. 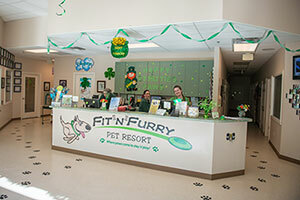 Fit ‘N’ Furry Pet Resort provides a fun, state of the art, interactive environment for dogs and cats; a place where your pets come to be treated like family while you are away! Health, safety, comfort and cleanliness are part of everything we do here. We make leaving your pet easier by giving you peace of mind that your pet is in the hands or loving, compassionate and well trained professionals. 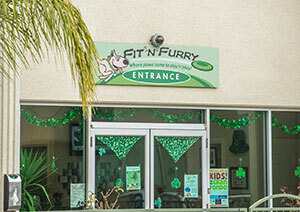 Our goal is for your pet to wag its tail wildly whenever you say "Let‘s go to Fit ‘N’ Furry"! We are the first certified Green building in Petaluma! What that means to your precious pet is we have a climate controlled state of the art ventilation system which operates 24/7 to provide plenty of fresh air for your pet. Read more about our Sustainability Initiative. Our facility is spacious and completely indoors so you can rest assured of your pet‘s safety. We have three large playrooms that double as dog training areas, standard rooms and suites for dogs and kitty condos. Our pet grooming spa is fully equipped with state of the art equipment. We have a sound system throughout the facility including the suites, playrooms and lobby. At Fit ‘N’ Furry, we believe an active pet is a happy and healthy pet. We want your pet to have a great time during their stay and that means getting plenty of exercise, playtime and loving attention. Our outstanding pet care facility serves pet owners in Sonoma County, Marin County and Napa County in the North Bay Area of California. Our lodging (boarding) facility accommodates cats and dogs, with our core services tailored to dogs and the people who love them.